CCM Snipers Edge PassMaster Puck Rebounder | Sports Etc. 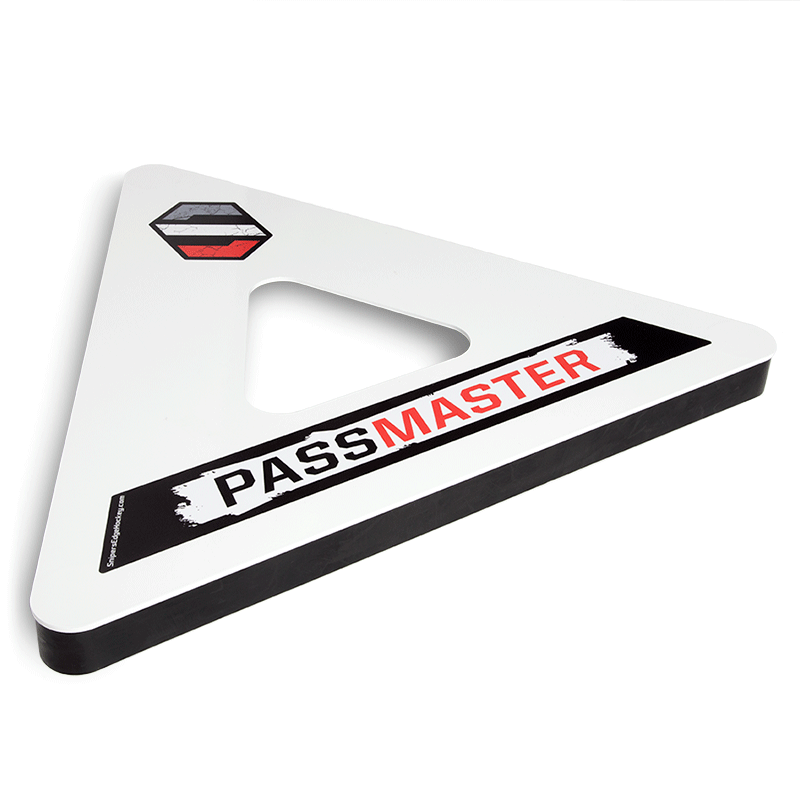 The PassMaster™ is the best selling hockey passer and one-timer training aid of all time. The reason is simple! It’s the most versatile hockey passing aid available, offering the most features for the lowest price. While other copy-cat products are made of cheap plastic and only offer one or two passing lanes, the PassMaster’s solid steel construction and THREE sided band design makes it the most durable and best hockey puck passer on the market. Use one, two or even all THREE sides to give you ultimate flexibility in the various drills you can master. The PassMaster hockey passing aid can be used to work on passing accuracy, short bullet passes, rocket fast one-timers, catching passes with soft hands, and more.